“Klaus Kutter", he was born in St. Paul, Minnesota. At the age of five, he moved with his family to Switzerland. In 1987, he entered the apprenticeship program at the Jens Grisson “Atelier” in Geneva, Switzerland. After four years, in 1991, under the critical eye of Master Grisson he graduated with the best national jewelry exam results in a decade. In Geneva, his primary work was developing special edition ROLEX watches and ROLEX jewelry, as well as some PATEK PHILIPPE watches. Klaus worked on an important crown and much more. In 1992, he took over the Jewelry Design Department at the KRIA Company in Milan, Italy. There he had the privilege of working directly with jewelry designer FULVIO PORLEZZA, a leading Italian designer. A Jour’s philosophy is that jewelry should be beautiful to look at. It should have volume, movement, and style. Jewelry must have a nice touch and feel to it. It shouldn’t feel empty, hollow or cheap. A Jewelry should sound good, clean, and solid. It should be made of high quality materials. Jewelry lets you show off your personality. Your jewelry tells the world who you are. Every piece of jewelry leaving my facility is stamped with the A Jour stamp. A Jour jewelry is jewelry that you can be proud of. Every piece is guaranteed with a warranty. Jewelry is my passion. I design jewelry to be dynamic and feminine. I use only the finest materials, including 18Karat gold, platinum, diamonds, genuine precious stones and fine silver for my creations. My jewelry is designed to accentuate every movement of your body. Look at the play of the light and you will understand. Designer jewelry often lacks functionality. I create jewelry that is comfortable, elegant, and fun to wear, as well as durable. I think women should be able to look and feel beautiful every day. At A Jour I make it possible. I not only make jewelry, but more important, I live jewelry. These would be the backs of various pieces prepared in the “mis à jour” technique. Because this technique requires a great deal of skill and detail work, it is becoming a lost art. At A JOUR however, I am keeping this tradition alive. 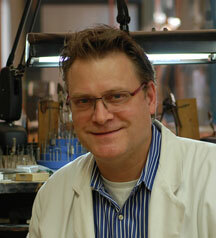 The company began as a "Jewelry Prototype Development Company" for the Providence Rhode Island jewelry industry in 1995. I ended the relationship with the industry in 2000. I learned quite a few tricks but it was time to move on. Exquisite high end and top quality designer jewelry. What I really wanted was to deal directly with you, my customer. My goal is to make high quality, fine jewelry that is wearable and functional. How would I accomplish this? First, by creating jewelry that is classy. Second, by dealing directly with you, my consumer. At A Jour you are not talked into buying a piece of jewelry. You become part of the process you are an important factor in the development of your piece, a piece that you will give or wear with deep pride.